Peter decides to make “Family Guy” more like Emmy-winning shows so it can finally win TV’s highest award. The story of Peter’s firing from the brewery, as told in the styles of Quentin Tarantino, Wes Anderson, and Michael Bay. Vladimir Putin comes to Quahog after Peter writes to him; A strapped-for-cash Brian gets a job at a suicide hotline. Meg’s drinking both concerns and delights Peter; Brian suspects Principal Shepherd of a crime. Brian enters a dog show to breed with a female dog; Peter and Lois try to convince Chris that “Arthur Valentine” doesn’t exist. The show looks back at the cultural events and issues that were tackled in the ’50s, ’60s and ’70s. Chaos ensures in Quahog when Stewie’s body swapping machine malfunctions. Peter adopts the millennial lifestyle, attracting the attention of a high-powered Silicon Valley executive. 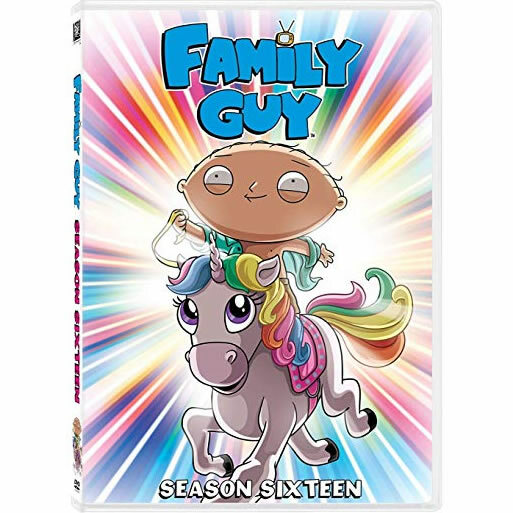 Quagmire has a freak accident; Stewie and Brian search for Mort after learning there is a $10,000 reward for turning him into the police. After falling into a coma, Peter comes face-to-face with God, leading him to ask some of life’s tough questions.